To remain leader one must continually adapt to a changing environment. 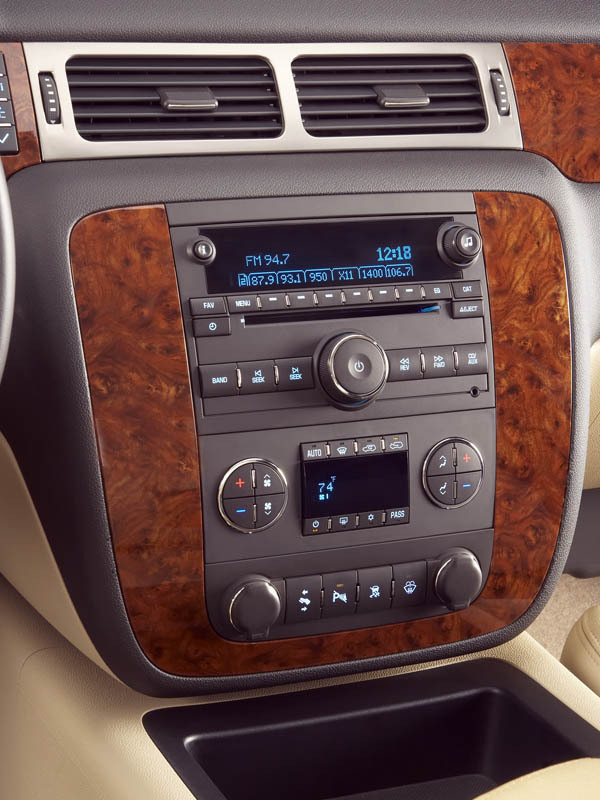 History has shown that lethargy to be the bane of the automotive world. 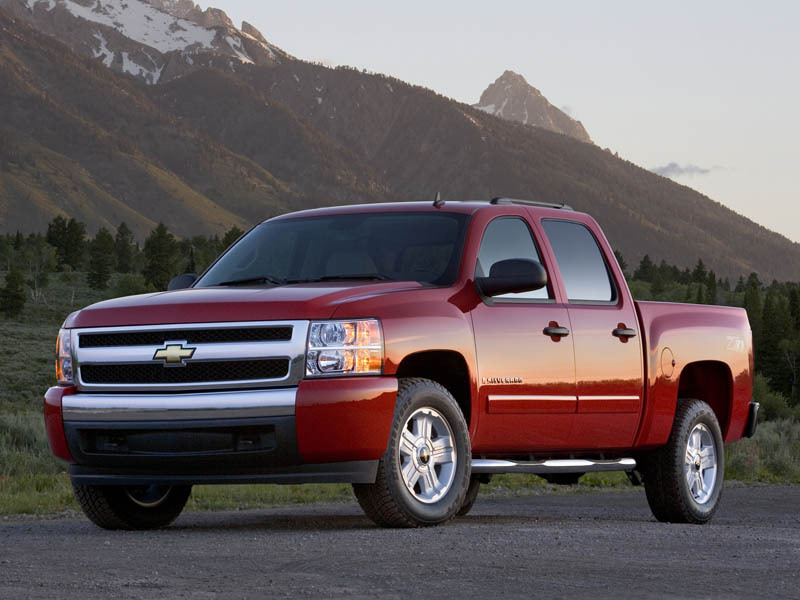 Nearing eight years since its last overhaul, the Silverado looks tired and ready for replacement. Both foreign and domestic competition have posed a formidable challenge, encroaching upon the giant from nearly every side. At the same time, the market has become more segmented. General consumers demand better performance, fuel-efficiency, quality and safety. 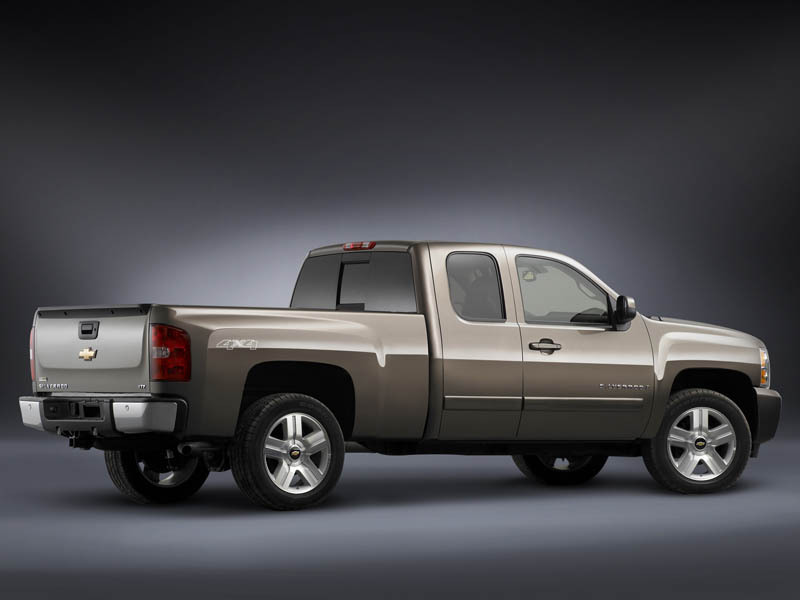 In addressing these issues, GM has designed its new full-size truck platform with the stability and versatility required to serve its broad market area. 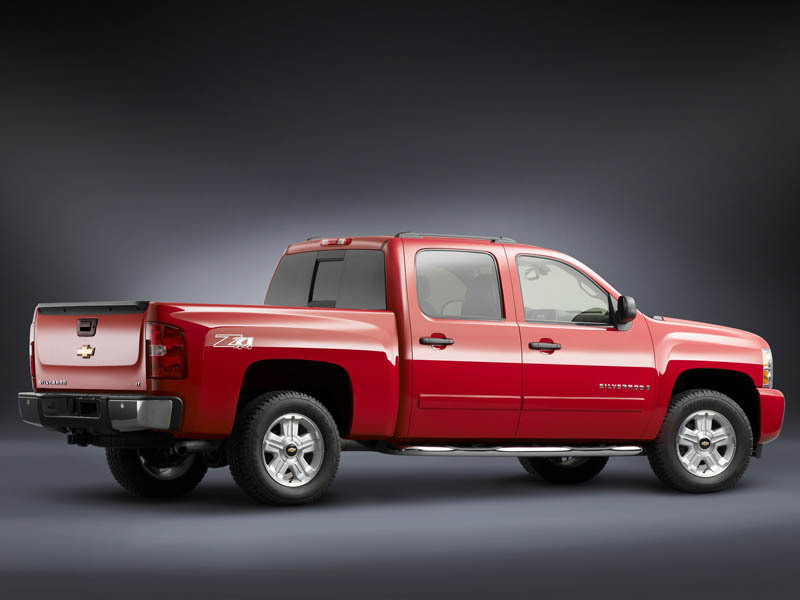 The new Silverado lineup encompasses three cab styles, three bed lengths, two distinct interior designs, five engine sizes and five suspension choices. 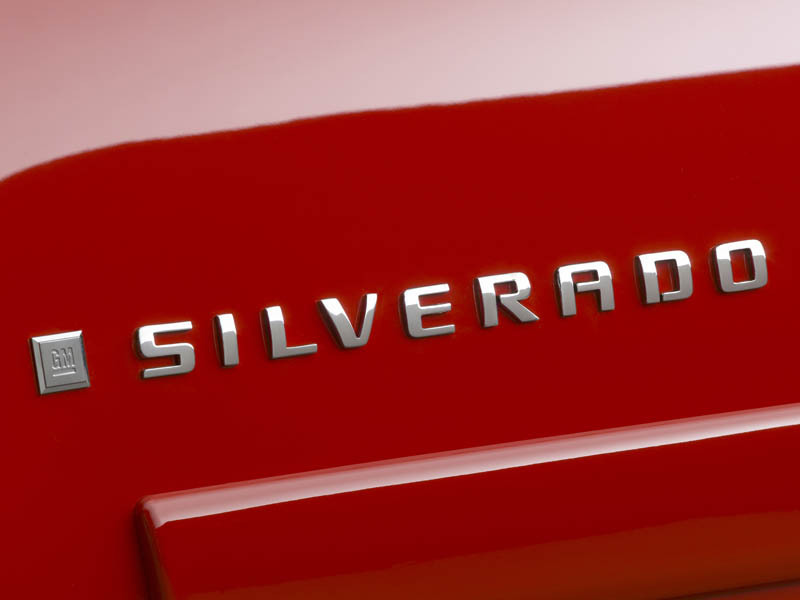 In addition to new choices, the Silverado also has been refined from top to bottom in an attempt to keep GM the best-selling full-size truck. 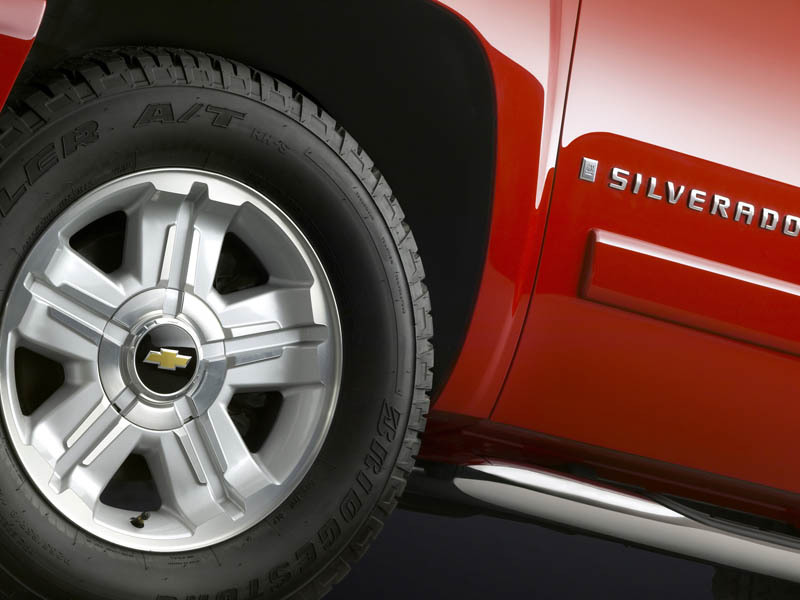 To begin, the Silverado has taken on a functional appearance. 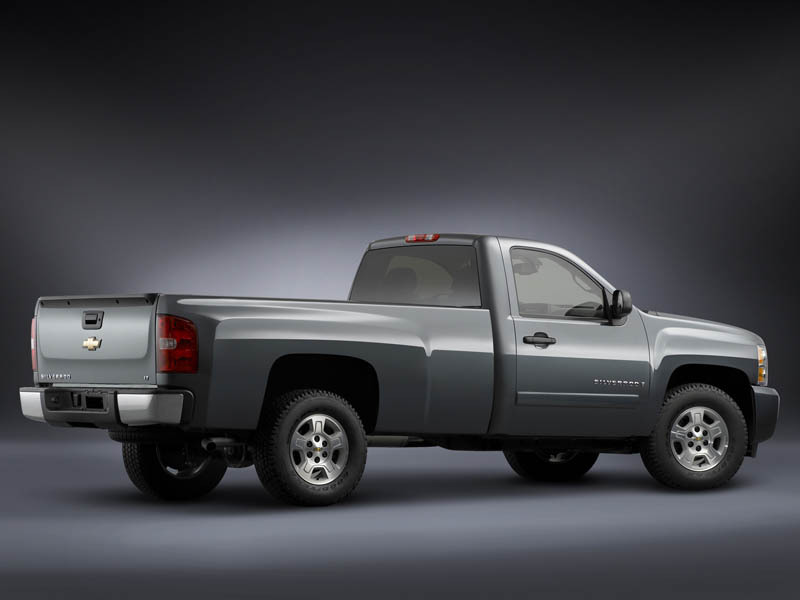 Rather than appoint the truck with swooping lines or unnecessary curves, the new shape reflects the size, form and function of a full-size truck. The bulging fenders contain the widest track in the industry, a full 3.2-inches wider in front than the previous generation. 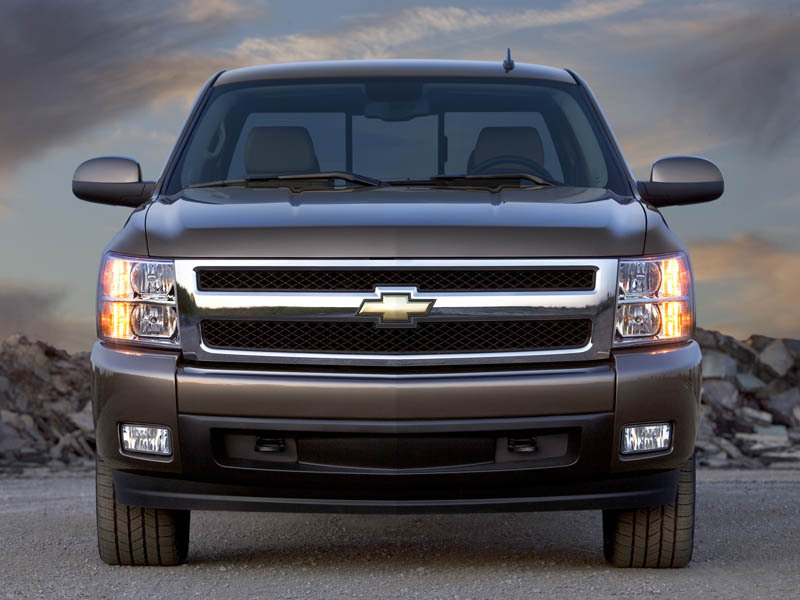 Its broad face, bold lines and confident stance reflect the strength and reliability that lies beneath. 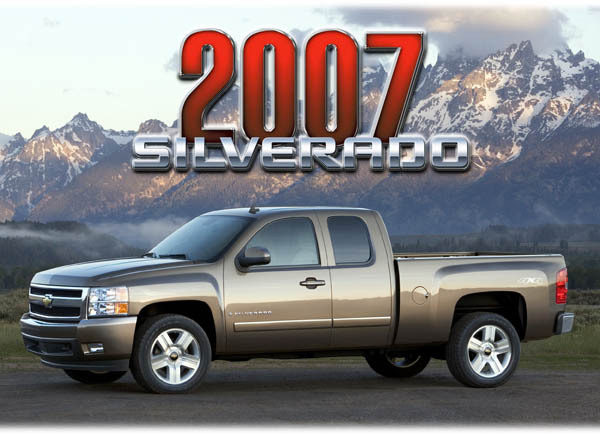 Various refinements include a more steeply raked windshield for a lower drag coefficient (0.43 Cd), and reduced body panel gaps, including a bed to cab gap that has been decreased by over 50-percent. 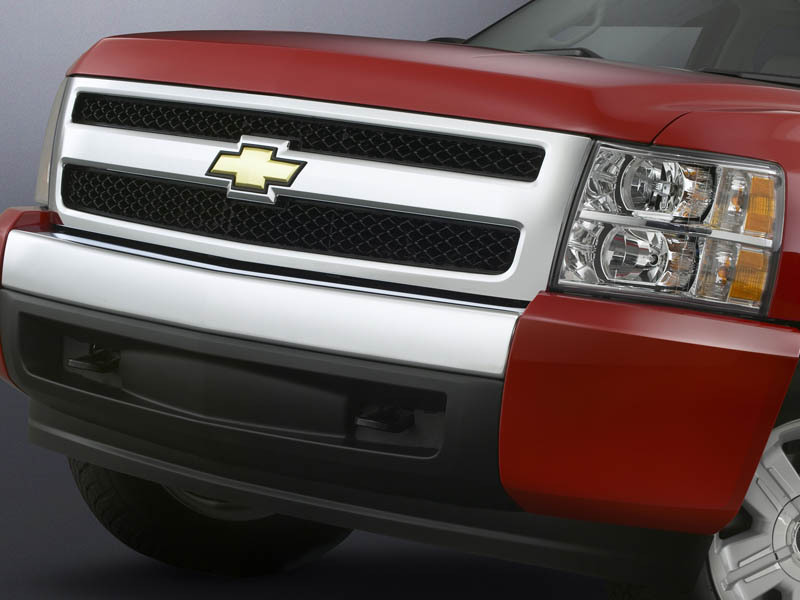 The doors now fully extend down and wrap over the rocker panels for a smooth, seamless appearance. 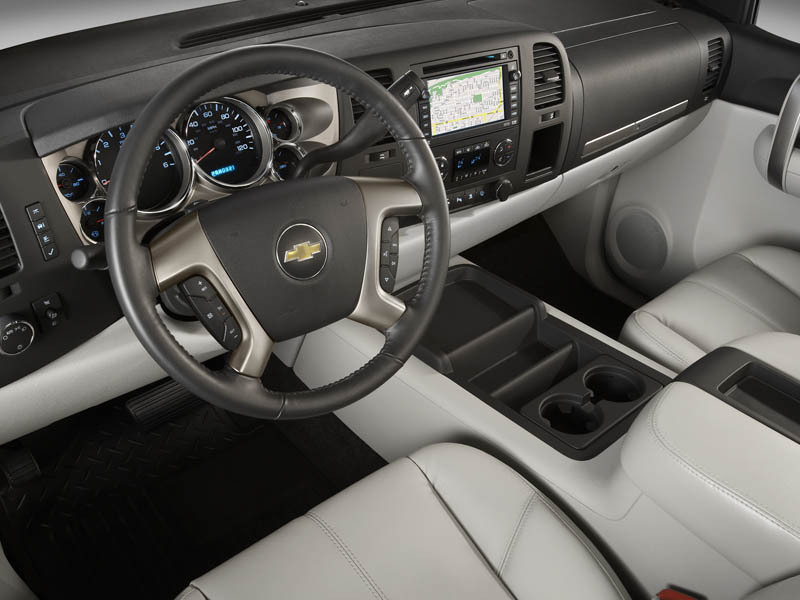 Inside the Silverado you will find two new interior designs, with distinct dash styling, instrument panels, seats and consoles. The WT and LT trim levels feature a cockpit-style instrument panel, with gauges and controls set high and within easy reach of the driver. 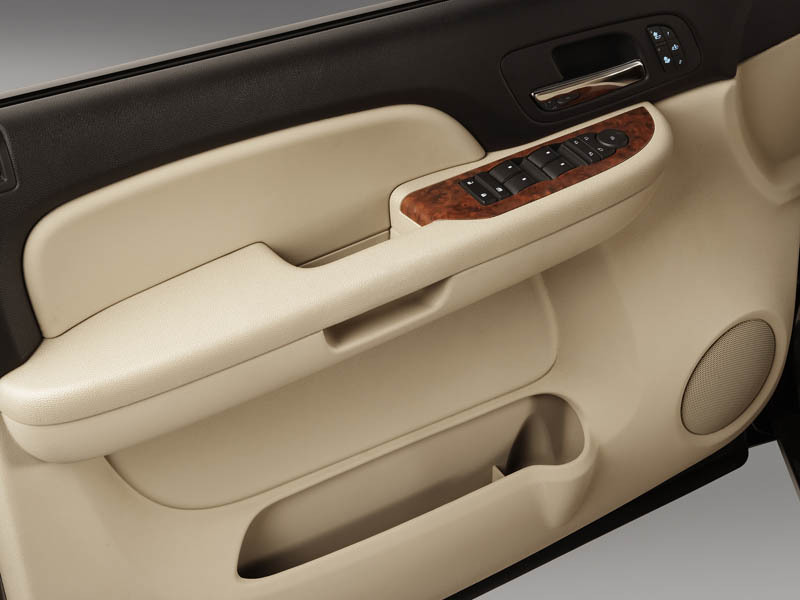 Pull handles and release levers are larger, and on the passenger side there are two separate glove boxes. 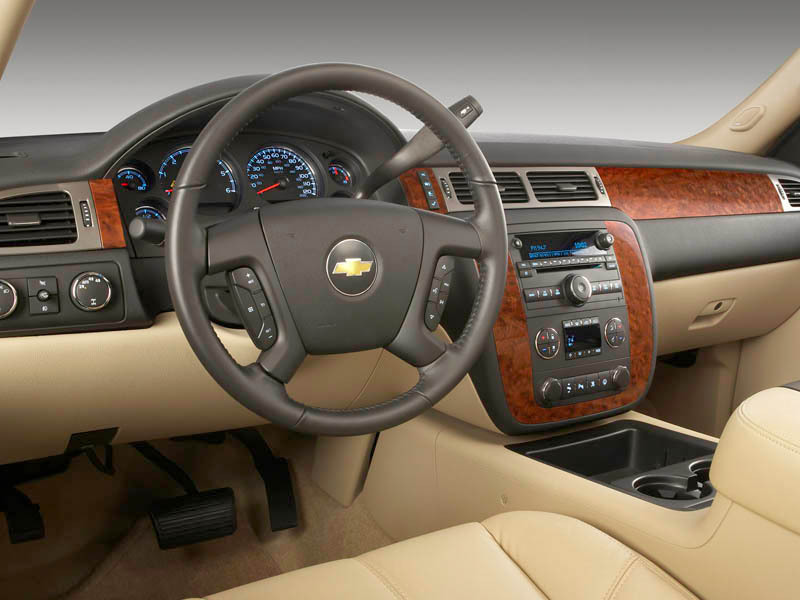 The upscale LTZ contains a luxury-styled interior, with instruments set lower and closer to the driver, woodgrain trim, and a lower center stack that houses radio and climate controls. 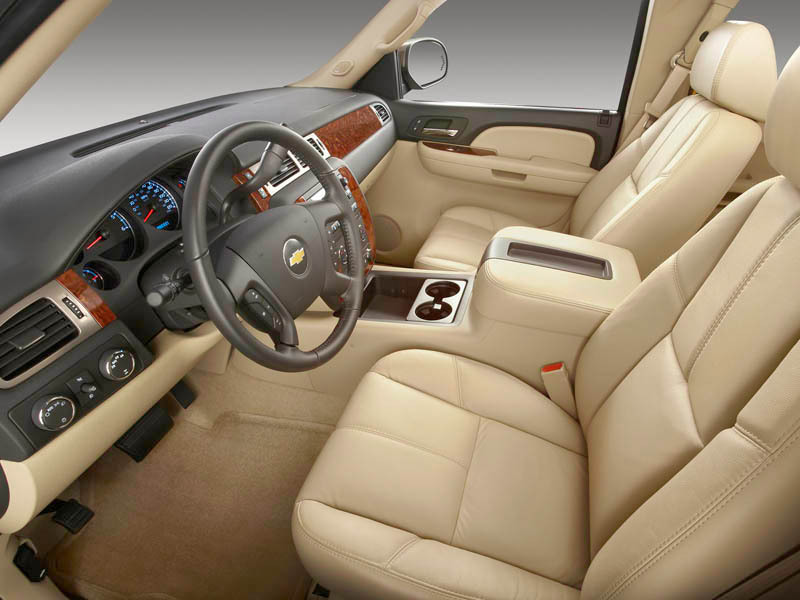 Interior room has been increased in almost every dimension, with longer seat travel and increased front seat recline angles. 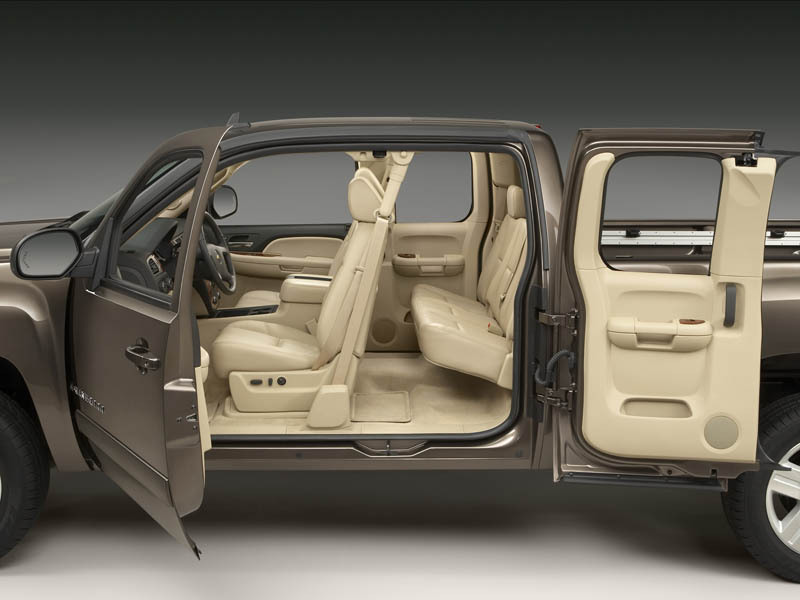 New for the extended cab are rear doors that swing a complete 170-degrees for easy access, as well as windows that are fully retractable. 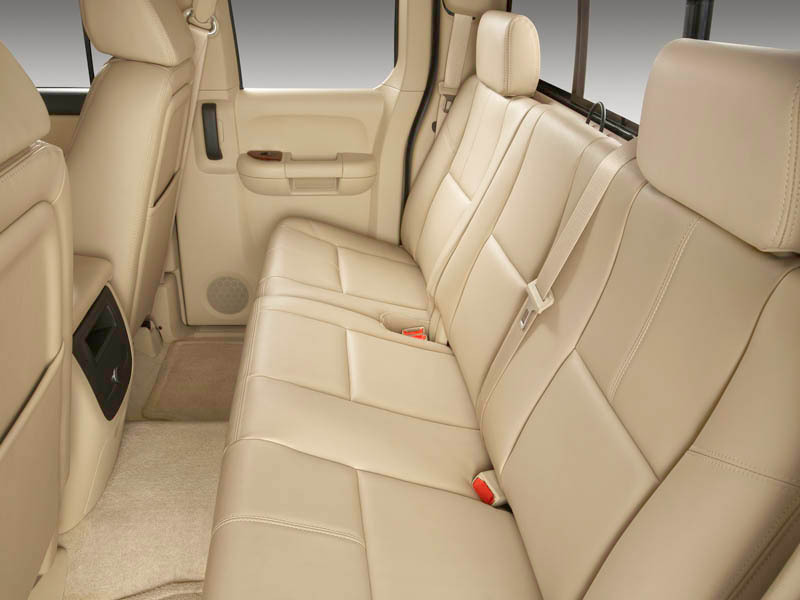 The rear seats are a 60-40 split design, and fold stadium-style for maximum utility and an open load floor. Underneath the new body lies a redesigned frame and suspension. The new frame is stronger and stiffer and features fully boxed frame rails with a hydroformed front section. 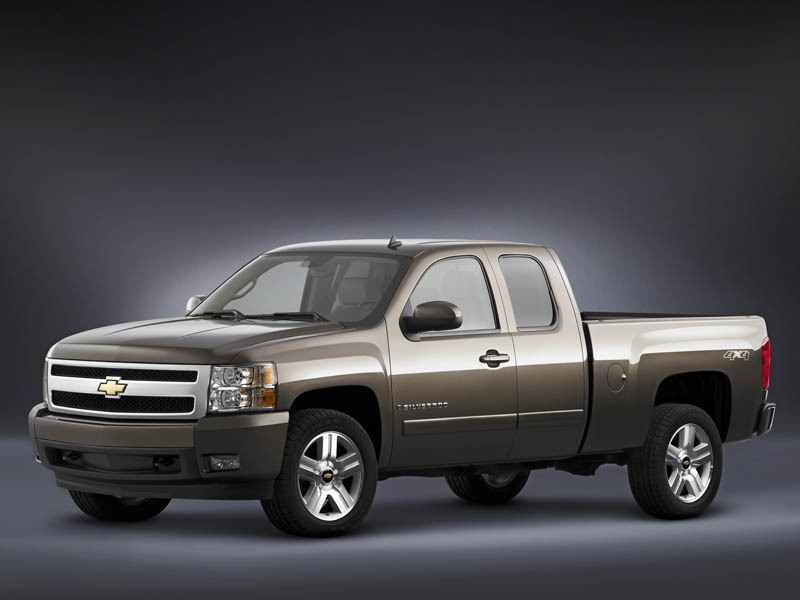 The front employs a new coil over shock front suspension, as well as a new rack and pinion steering system. The rear suspension features new shocks, angled outboard and positioned more upright to better control axle and vehicle motion. 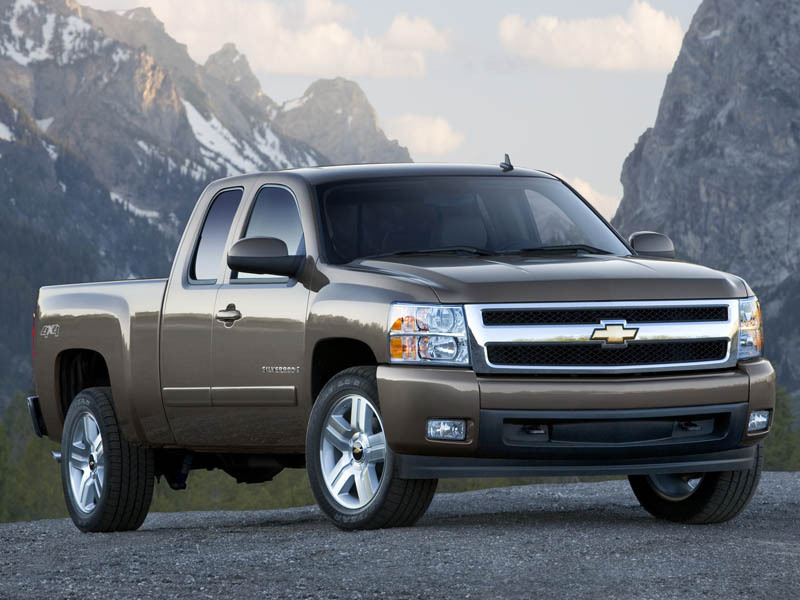 The new Silverado is host to a bevy of suspension choices. They range from the standard Z83, to the upgraded Z85 for added towing capabilities, NHT for maximum towing, Z71 off-road package on both 2WD and 4WD, as well as a Z60 street performance suspension with 20-inch wheels. 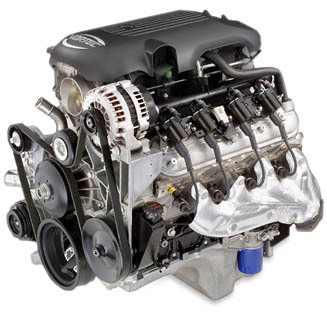 Powertrain choices range from a 195-hp 4.3L V6 to a 367-hp 6.0L V8. 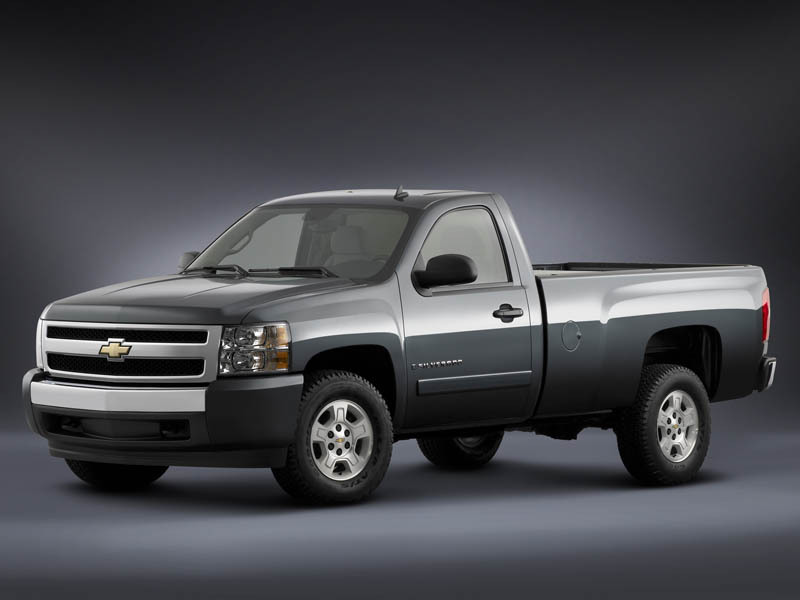 The 5.3L adds Active Fuel Management, which can shut down half of the cylinders to save on fuel under certain driving conditions, as well as E85 ethanol capability. 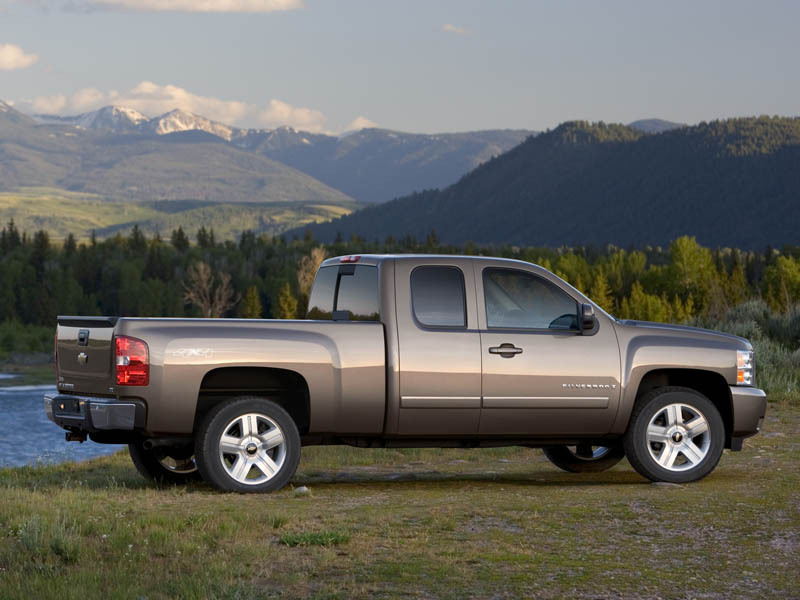 When equipped with the 5.3L in 2WD form, the new Silverado is reportedly capable of 16 mpg in the city, and 22 mpg on the highway. 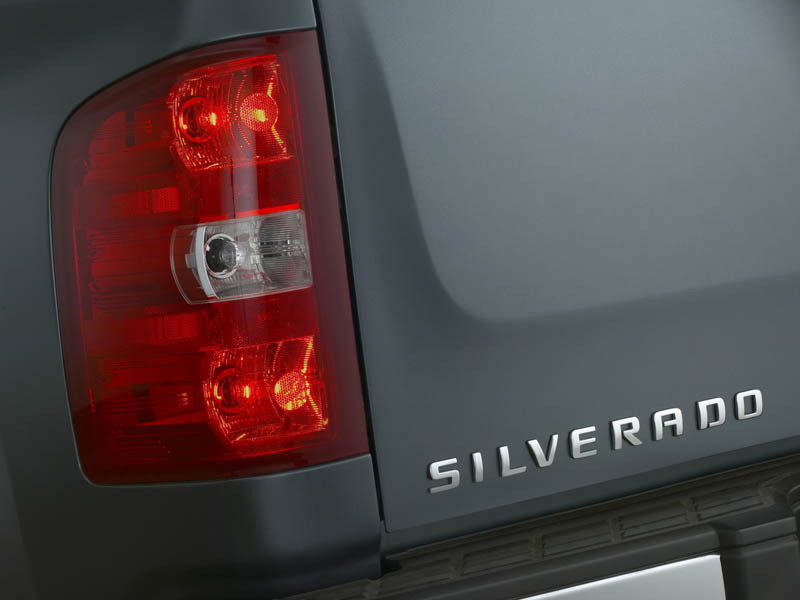 The new Silverado would not be complete without its numerous safety enhancements, which include 5-star NCAP safety ratings for both driver and passenger, dual stage front, and head curtain side airbags, and rear parking assist. 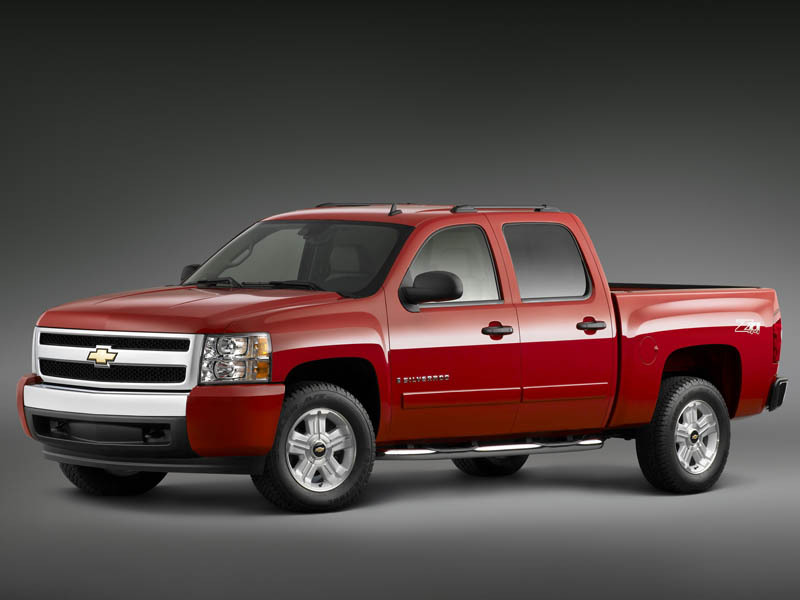 StabiliTrak is now standard on crew cab models, and optional on extended cabs.